If you manage a business that’s open for fourteen, sixteen, or even twenty-four hours, how do you schedule your employees? Do you make one team always work nights and the other team always work days? 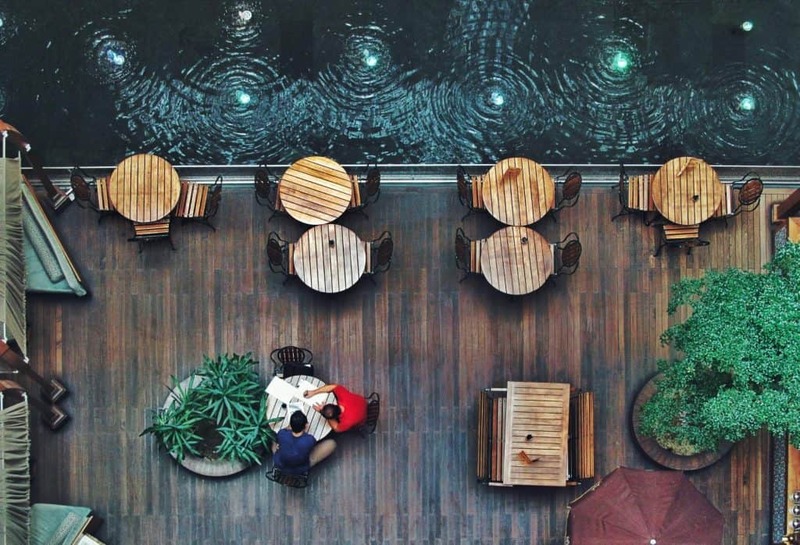 When do your employees get time off? When you start to think about the logistics of it all, you can see how scheduling could become a chaotic nightmare very quickly. Thankfully, there is a simple solution to this dilemma: the rotating shift. In a rotating schedule, employees work the day shift for one or two weeks and then switch to working the night shift for one or two weeks. This keeps all your operating hours covered while still giving your employees regular time off. The rotating shift also has benefits for restaurants where the dinner service may make more money than the lunch service. If you restrict one team to the less-desirable shift, this can seriously affect employee morale and productivity. The rotating shift schedule gives all team members the opportunity to cycle through working both the dinner service and the lunch service. We’ve created this guide to show the ins-and-outs of the rotating shift schedule, including the advantages and disadvantages, and how to set up a rotating schedule of your own. Let’s get started. What Is A Rotating Shift? Rotational shift work — or rotating shift for short — is a scheduling system where employees move through a cycle of working the day shift, the night shift, and any swing shifts that may be necessary. The “opposite” of a rotating shift is a fixed schedule. The fixed schedule means that one group of employees will work the day shift, one group will work the night shift, and one group will work the swing shift. The fixed schedule does not change, so employees will always work those hours unless you intentionally move them to a different shift. To help you understand the rotating shift better, let’s examine a brief illustration. 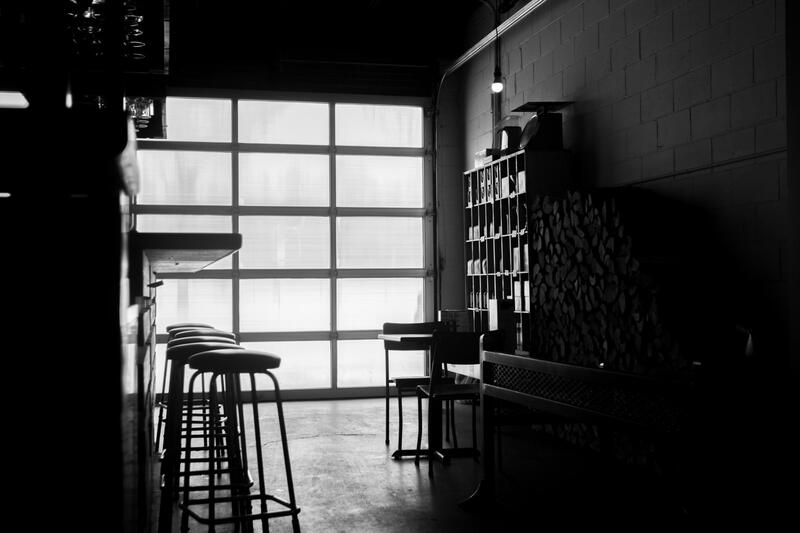 Let’s say you run a restaurant that operates from 8 a.m. to 12 a.m. The restaurant may not be open for all of those sixteen hours, but employees are, at the very least, prepping and cleaning between those times. The simplest way to schedule workers is to break the sixteen hours into two eight-hour shifts. The first shift would run from 8 a.m. to 4 p.m. The second shift would run from 4 p.m. to 12 a.m. So we’re back to one of the questions we posed at the start: do you make one team always work nights and the other team always work days? For office work or manufacturing, this may be the best choice because one shift is just like any other. But for businesses like restaurants, one shift may make more money than the others. Restricting one group of employees to the less-desirable shift is not a good way to foster a productive team. To make sure all your employees can work the higher-paying shift, you can leverage the rotating shift system. In a rotating shift system, one week, team A works the opening shift (8 a.m. to 4 p.m.) while team B works the closing shift (4 p.m. to 12 a.m.). The next week, team B works the opening shift while team A works the closing shift. The following week, team A is back on the opening shift while team B is on the closing shift. That’s the broad strokes of a rotating shift. Again, we’ll show you how to make it work for your business later in this guide. First, though, let’s examine the advantages and disadvantages of the rotating shift. It keeps employees engaged because they know they will have their share of busy shifts. It gives all employees the opportunity to learn how to work during peak hours. 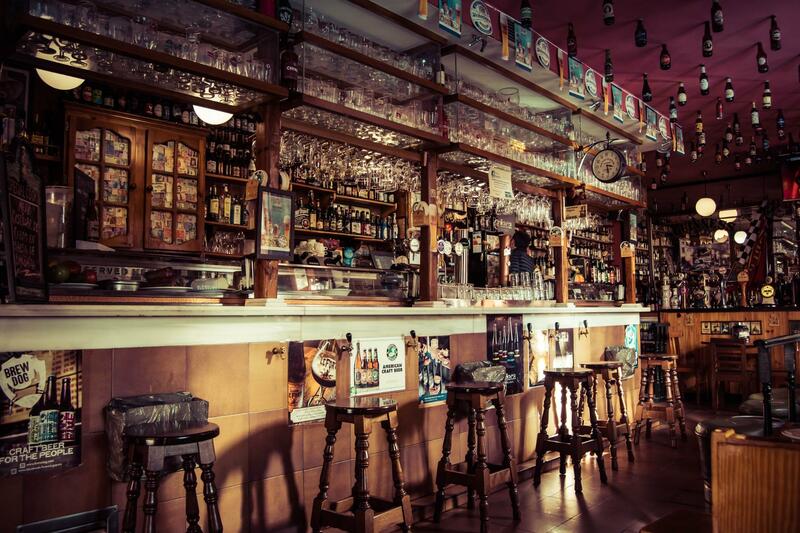 Similarly, rotating even your most senior and skilled workers through the day shift helps establish the lunch service as a strong customer experience. That can boost sales and be good for everyone — employees and business alike. Another advantage of the rotating shift is that it gives you time to train all your employees without cutting into the dinner service. The opening hours are typically less busy than the afternoon and evening hours, so it’s easier to set up a short training meeting first thing in the morning. Team A gets to benefit from the training one week, and team B gets to benefit from the training the next week. The primary disadvantage of the rotating shift is that employees may prefer to have a consistent schedule (the fixed shift). When your employees are on a fixed shift, planning the rest of their life becomes much simpler. This is because the employee knows they are always working days or always working nights. They don’t have to keep track of which week within the rotating shift they’re currently on. Forcing your circadian rhythm to change — by working the night shift — can cause sleep deprivation, gastrointestinal disorders, and cardiovascular disorders. Some people can adapt in two or three days, while others take longer. Some people’s circadian rhythms never adjust. One way to make the adjustment to a rotating shift easier on your employees’ bodies is to extend the rotating shift to two or three weeks instead of one. That would mean that team A works the opening shift for two weeks and team B works the closing shift for two weeks. Then, team B works the opening shift for two weeks and team A works the closing shift. The next month, the cycle starts again. It’s also critical to get feedback from your employees as to what system works best for them. The most basic rotating schedule is the one mentioned above where team A and team B switch shifts every two weeks. Unfortunately, that scenario is a bit too simplistic. You need to take into account how many days per week your employees work. You also need to account for weekends, time off, and the like. We’re going to show you how to set up what’s known as a “2-2 3-2 2-3” rotating shift schedule. This rotating shift gets its name from the pattern of days that each employee works. Two days or nights on, two off (2-2). Three days or nights on, two off (3-2). Two days or nights on, three off (2-3). Other common rotating schedules include 2-2-3, 3-2-2-3, and 3-2-2. All of these indicate the number of days worked and the number of days off. The restaurant is open for sixteen hours a day. It employs forty people in various jobs. A shift requires ten employees. A full day’s worth of operation requires two shifts. With those details established, we can now create the rotating schedule. Let’s say you need two cooks, two food runners, four servers, one bartender, and one host to fill out your shift. Each team should be composed of employees who can do those jobs. You can switch cooks or servers or bartenders amongst teams to really get things rotating, but for now, just put everyone in one team and leave them there. For the purposes of this how-to, we’ll label the teams A, B, C, and D.
This rotating shift schedule is built on a two-week rotation. That means that each team will work a specific shift for two weeks before switching. If you’ve balanced your teams skill-wise, it doesn’t matter which team goes in which shift. The teams will be rotated through all four every few weeks. Here’s an example. D=Day Shift, N=Night Shift, O=Off and the hyphen indicates a new week. Everyone rotates through the same pattern of days, nights, and time off. They just start at different points so that all days and times are covered. Whether you choose to use a fixed shift schedule, a rotating shift schedule, a split shift, or even a compressed workweek for your business, you still need the right tool to help make your scheduling system successful. 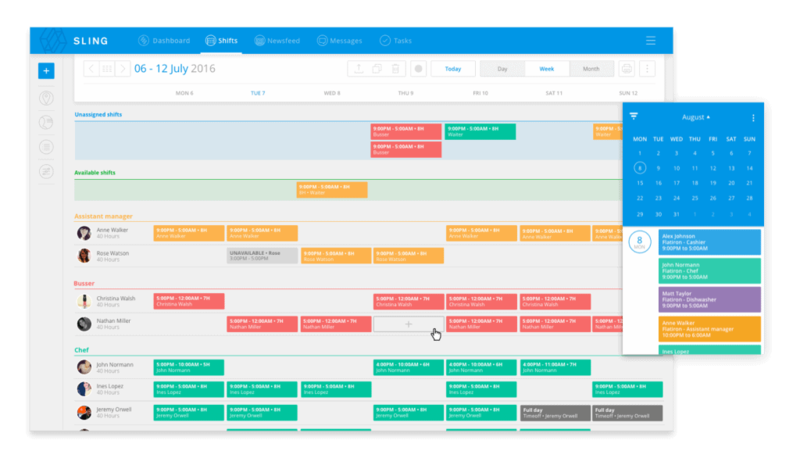 We developed Sling to streamline the scheduling process and make even the most complicated rotating shift schedule run like clockwork. And Sling is about more than just plugging names into time slots. It’s about making every aspect of your job — from scheduling and distribution to communication and tracking — easier and faster. 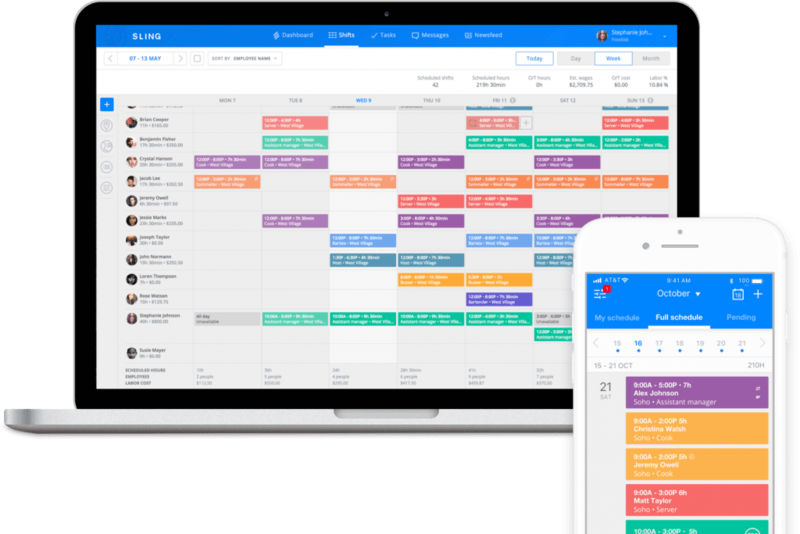 The intuitive and well-organized scheduling tools Sling offers make it simple to create clear, easy-to-read schedules with just a few clicks of the mouse or taps on the screen. And Sling’s cloud-based platform streamlines the process of sending the schedule to everyone who needs it. Just post your schedule in the cloud for all to see. You can even control exactly who can view the schedule and who can make changes to it. All you have to do is give individuals permission or send them a link. They can then log in to Sling to view or edit the schedule anytime, anywhere. Sling’s cloud-based program also provides a central location where employees can indicate when they’re available to work. Sling then displays reminders about double-bookings, time-off requests, and unavailability while you’re creating your schedule. But remember, Sling is about more than just scheduling. In addition to the power of its onboard schedule maker, Sling brings together two additional toolsets to make your work life easier: time tracking and labor cost control. During the workweek, Sling’s unique time-tracking features allow you to turn any phone, tablet, or computer into a fully-functional time clock that your employees can use to clock in and out. Sling will even notify you (and them) about upcoming shifts and whether an employee is running late or forgot to check in. At the end of the workweek, just a few clicks or taps is all it takes to export your employees’ timesheets for payroll processing. Simply review the timesheets, edit and approve, and then send them to your choice of third-party program for seamless payroll calculation and distribution. You can then go back and use Sling’s labor cost tools to measure, manage, and optimize your spending as you schedule. No more endless revisions trying to squeeze all the shifts and work necessary under your existing budget. One pass through the schedule and you’ll know if you’ve exceeded your labor costs or not. Then it’s just a few clicks here and there to bring your spending back into the black. All that and more helps managers bring teams together, keep everyone informed and engaged, and build a better work culture regardless of the schedule they use.